This latest blog can also be found on espnW. Preparing to launch for an afternoon practice on Otay Lakes. U.S. Olympic Training Center – Chula Vista, CA. Many Olympic dreams will come true this year, but not mine. I’m not allowed to talk publicly about the selection process until the team is officially named on June 22, but I know that I won’t be on that final squad to London. My new target date is 2016, and Rio de Janeiro might just be the destination. Though I would have loved to make the team, I’m not devastated by any means. I never expected to come this far as quickly as I did, and while I still have a long way to go, it only shows me that the Rio Olympics are a real possibility. In April I raced the women’s single in the Olympic trials against a formidable field of some of the top scullers in the country — including top U.S. women’s single sculler and Olympic hopeful Gevvie Stone. After an exhausting three days of racing, I went on to win the B Final in a come-from-behind victory, placing fifth overall at the trials. (Check the race out here). I still shake my head in disbelief when I think about how a year ago, I finished 33rd among a similar field at the 2011 National Selection Regatta I. A year can change everything. While 2012 isn’t in the cards for me, I’m still training with the U.S. team in Princeton, N.J. It is a privilege and honor to consider myself a part of such an elite group of athletes. I’ve learned invaluable lessons from the brilliant, seemingly invincible women I’m surrounded by every day. From perfecting the “art” of ice baths (hurts so good), to creating the ultimate 6-kilometer erg test playlist, to learning how to deal with rowing-related injuries, and pushing beyond my known limits because everyone else is willing to go there with me, I no longer feel like the rookie that I was just less than a year ago. The progress I’ve made only baits me to continue working hard and see my Olympic dream to a reality in Rio. So we continue — those of us that won’t be hopping the pond to London in July — to train day in and day out, putting in the countless hours as we hope to represent the United States in future World Cup events, world championships and in four more years, the Olympics. 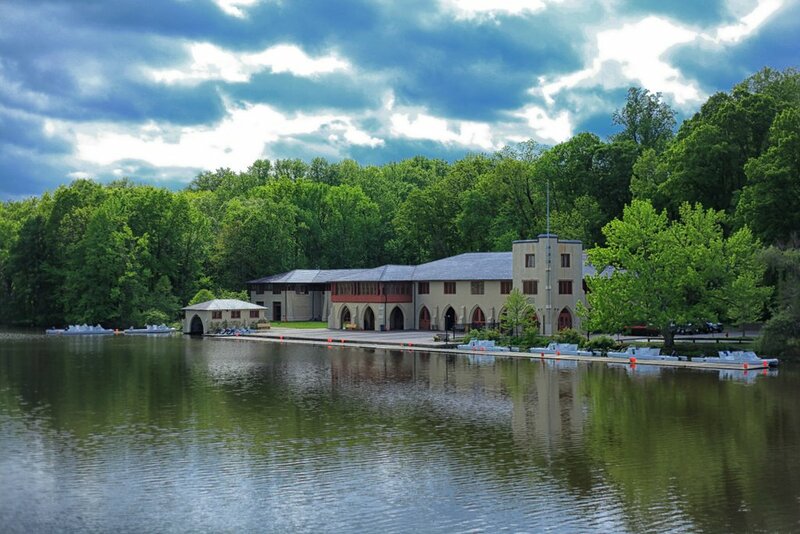 Shea Rowing Center / Princeton Boathouse. Princeton, NJ. I read recently that the odds of winning an Olympic medal are about 662,000 to 1. I don’t know how this was calculated, but apparently you are more likely to be struck by lightning than to win an Olympic medal. Nine months ago, I decided to leave a full-time job with a promising future to pursue my dream of becoming an Olympian. I left my home, my friends, and my comfy desk job to chase what many would consider a lofty, perhaps even ridiculous goal. When making this huge life-changing decision, the idea of failure didn’t even cross my mind. I knew what I wanted, and I knew I would do everything to put myself in the position to achieve that. And so here I am, with no regrets. Aside from the athletic gains (I seriously think I could run a respectable time in a marathon tomorrow if I had to), I have learned so much about myself, formed lifelong relationships, and am collecting a pretty amazing album of memories that I’ll carry for a lifetime. I cannot wait for what’s to come in the next four years. And adding to the “to do” list: Portuguese lessons. You are a great athlete, and an even better teammate. You are going to ROCK 2016! I’d rather meet you in Rio anyway! I’m so proud of you Meg!!! Xoxoxo! “You just can’t put caps on what you think you can do,” she said. “I think that’s the big thing I’ve learned this year. Anything is possible. Who knows what kind of race you can win and what kind of thing you can do? Maybe with cycling last year I put a cap on what I thought I could do, and then this year I just kind of let go of it. Meghan, I’m curious about your comment regarding running a respectable marathon. I assume that you are basing your assessment on the totality of your rowing training. While I assume that the bulk of your endurance training was done via rowing, I imagine that you did incorporate running into your overall program; about how many miles per week would you say that you typically ram? Reason for all of my questions is that I have run several marathons using a run/row training program and have had decent results. I typically ran about 35 miles per week and rowed about 20. At age 57, I could run a 3:22. With regards to the rowing, it was all done at easy pace (low power, around 2:25 – 2:30 per 500). I did some research on how rowers train and discovered that a lot was mission from my program. Currently, I’m incorporating tempo, intervals, power and long rows into my program (about 60KM per week, on top of the running) and it has positively affected my running. Sorry for the long post but bottom line, give the marathon a shot if you have the time. Thanks for the comment! My apologies on the delayed response. Post-college and before I began my journey in rowing I was flirting with marathons and actually did a full training cycle for a marathon but never got to compete in one. Life, work, and then rowing took over. I absolutely love running and rely on it heavily for cross-training; so yes, running is incorporated into the overall training program. The miles/week depends on where we are in the training cycle. For example, I’ve recently been recovering from a rib injury so have been running a lot more than I normally would in place of being able to row. Normally, I’d say we are running as little as 15-20, up to 45-50 miles/week perhaps? But yes, much of training for rowers is long and lower intensity. Glad to hear the row/run training program has proven positive for you! Running and “doing well” in a marathon is definitely on my list. Meghan – If you have the time to run one, I’d highly recommend it. While some folks are skeptical of the effects of cross-training on one’s primary sport, my personal experience has most definitely been that there is a positive effect. Your rowing mileage, coupled with the running, would be a wicked combo (sorry, I’m from MA and have to use that word now and then!). 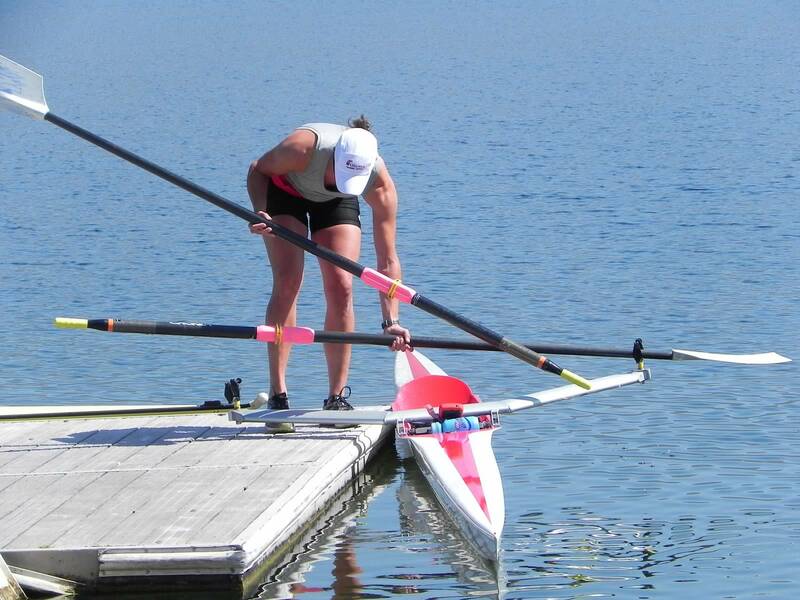 After 25 marathons, I’m switching my focus to rowing. I’m aiming for the CRASH Bs and would be very happy with a sub-7 minute 2K. Good luck on your quest for the Olympics; I read your story in Rowing Times and it is quite captivating.